What Can a Multi-Tenant ERP Integration Do for Your Business? 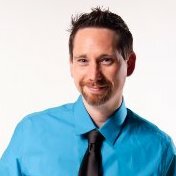 What is a Multi-Tenant ERP Integration? We’ve posted a few times recently about the benefits of integrating your ERP with CRM in the cloud. However, if you do choose to host your integration platform in the cloud, there are several options for what kind of cloud you’ll be employing. One of those options is the multi-tenant cloud. So, what does multi-tenant ERP integration really mean? The fundamental idea of multi-tenant integration is explained in the name of the term itself. Many different users (tenants) operate on a single piece of software, owned and operated by a vendor (or landlord). For example, when working with an Epicor multi-tenant instance, a business will have its specific piece of software positioned on an Epicor cloud site. The server where the instance is located also hosts many other businesses’ information—but your specific data is completely private and well-secured, simply hosted in the same space (think of it like an apartment building). This cloud server provides the platform for the data sync between your ERP and CRM fields: quotes, orders, invoices, contacts etc. This single source of truth is a powerful tool for your company to leverage for cost reduction, error handling, business collaboration and growth. Learn about our premier ERP integration application by checking out our video demo! 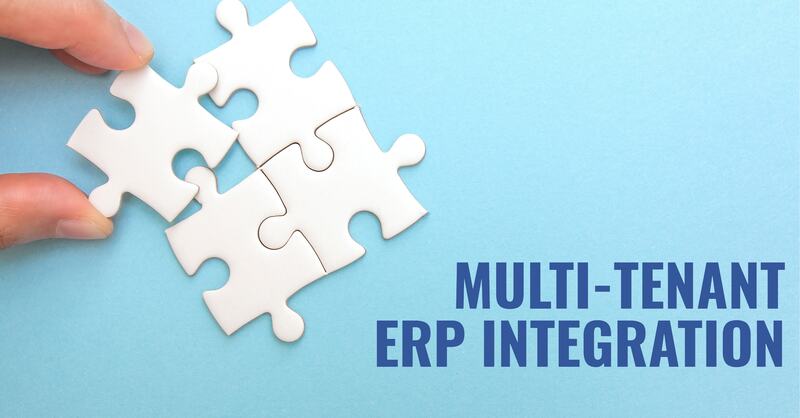 Aside from the many productivity benefits that come with connecting your enterprise software in the first place, multi-tenant ERP integration can provide additional savings in both time and budget. Primarily, you won’t have to invest the often significant amount of money into the hardware and server space that comes with on-site hosting. Secondly, because multi-tenancy consists of a variety of tenants sharing a single spot in the cloud, the vendor itself saves on server space, transferring those cost savings onto you. Instead of a large initial investment that your business might not be able to afford, you pay a per-seat subscription fee that will spread that cost out over time, and will be able to grow as your business does. Thus, when you take on more employees, you don’t have to go through the trouble of increasing server space; you can just increase the number of seats in your cloud integration! Moreover, because your integration platform is hosted in the cloud, there will be no additional work on your business’ end to store your data or ensure the avoidance of errors and corruption. Upgrades to multi-tenant integration platforms are immediately released and serviced by the vendor of the multi-tenant ERP integration. Your IT team will be free to focus on vital company projects, not endlessly fixing errors in a data sync or spending time upgrading your integration platform. Is Multi-Tenant ERP Integration Possible for Your Business? When it comes to multi-tenant ERP integration, the question of possibility will often come up even before questions of fit. Multi-tenant options for enterprise software haven’t been on the market for long, and have only recently become as visible as their much longer tenured on-site options. It has previously been extremely difficult to integrate multi-tenant ERP, usually requiring a lot of customization, coding and headaches on the part of the integrator. That's not the case any longer. As cloud hosting and multi-tenant choices have grown their presence in the enterprise application market, so too have the options for multi-tenant ERP integration. As we mentioned in a post on cloud enterprise technology, over 70% of businesses currently utilize a hybrid cloud ERP solution—hosting some or all their enterprise software systems online. Clearly, the market for multi-tenant integration is trending upwards, and the solution is more feasible than ever with the help of iPaaS platforms, on which we built our premium Epicor integration product, Unity. If you’re already running multi-tenant enterprise software, then the decision to also integrate in the cloud should be a no-brainer. However, if you’re still in the stages of considering an ERP vendor and know you’ll want to integrate your CRM with the ERP instance after go-live, choose cloud hosting for Epicor ERP. Multi-tenant ERP integration is becoming increasingly achievable for businesses even in the small to mid-market sector, and deciding to go this route could reap significant rewards for your business. A multi-tenant ERP integration can provide your business with unprecedented flexibility and control over your processes. The tools that multi-tenant ERP integration can provide are ideal for small to mid-market businesses, who may not necessarily have the resources available to store a whole host of data, platforms and software on-site. Whether you’re already running multi-tenant ERP software or still deciding on a hosting location for the software, know that integration with your CRM, eCommerce or other platforms is possible—and the right choice. Here at Datix, we specialize in enterprise application integration—specifically when it comes to multi-tenant integration. Our proven product, Unity, can integrate Epicor (on-site or in the cloud) seamlessly with Salesforce, Microsoft Dynamics 365, Magento eCommerce and other systems. In fact, we are Epicor’s preferred partner for integrations of their multi-tenant product. As an Epicor Platinum Partner, we provide top multi-tenant Epicor integration technology to enhance efficiency and handle errors and debugging without any stress or coding on your end. Get in contact with one of our expert team members now to schedule your own consultation!